2016 MJEA Administrator of the Year – Missouri JEA. Legacy editor in chief Kyndall Truelove thanks Mr. Mershon and discusses how he has supported yearbook. 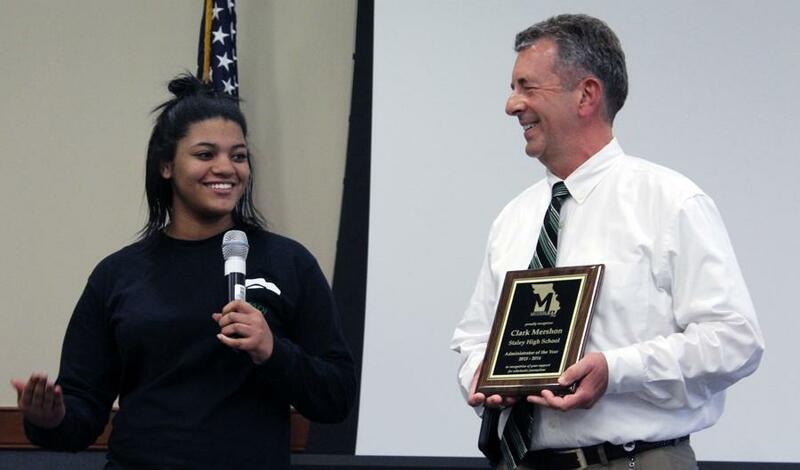 Clark Mershon of Staley High School in Kansas City has been selected as the Missouri Journalism Education Association’s 2015-2016 Administrator of the Year. Mershon has been Staley High School’s principal since the school’s 2008 opening and has also earned several awards for outstanding service to education including 2003 Missouri Middle School Principal of the Year by the Missouri Association of Secondary School Principals, Southwest Missouri Principal of the Year and two Greater Kansas City Principal of the Year awards. Mershon was a columnist for his high-school newspaper and has supported and promoted scholastic journalism throughout his career. Even as a middle-school principal, he launched a daily student-produced broadcast and a student-produced hardback yearbook. has been opened, he has not once asked for or practiced prior review. He puts his full trust in the advisers and the student editors to make good decisions on content. He has also never come after publication to criticize coverage. He does, however, make sure to come to the journalism room to praise the students who have specifically created the content for the magazine, the yearbook, the news broadcast or online. He pulls them into the hallway or in front of the class and gives them specific positive feedback,” Burgett added. 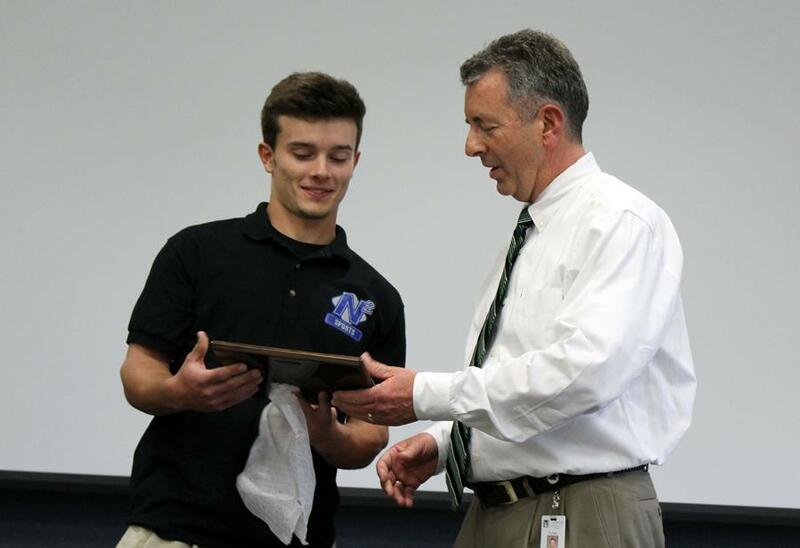 We had students from STTV (daily broadcast), Legacy yearbook, Talon newsmagazine, StaleyNews.com and N2 Sports (live sports broadcasting) present Mr. Mershon with the award. They each spoke about specific ways he has supported their particular program. It was a staff meeting, and the Superintendent was present along with Mr. Mershon’s wife. The N2 sports broadcasting student (who is also in STTV) is Mr. Mershon’s son, Ward Mershon, a very talented broadcast journalism student.